Local broadcast TV comming to the internet soon? Streaming television rebroadcaster Aereo won another victory in their ongoing copyright fight with television broadcasters trying to shut the service down. Aereo is a technology company based in New York City that allows subscribers to view live as well as time-shifted video of over-the-air television on the Internet. As I have reported before, this new, disruptive technology has the current establishment in an uproar. The loss in the Second Circuit caused Chase Carey, COO of News Corp. to state, it might actually get out of the free-TV business. Fox network founder Barry Diller started Aereo service trials last year in New York City. The case is far from over, but currently Aereo seems to have the upper hand. Disruptive technologies are emerging faster than ever. Although Aereo has stayed within the law, new technology may test the bounds of what is legal. If you have a work that needs Copyright protection, or know someone that can use my help, please contact me for a free 30 minute consultation at nvantreeck@usip.com or call TOLL FREE at 1-855-UR IDEAS (1-855-874-3327) and ask for Norman. Another swing and a miss. Asteroid 1998 QE2 will fly by the Earth on May 31 (or June 1st depending upon where you live) at a distance of 3.6 million miles or 5.8 million km. 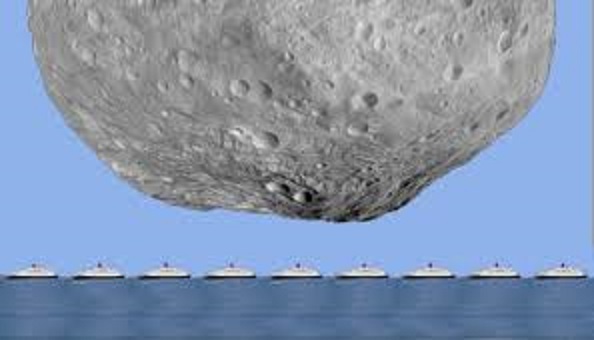 The size comparison that most everyone is using is that the 1.7 mile or 2.7km long rock is 9 times the size of the Queen Elizabeth II ocean liner. I am not sure how big that is, but the graphic above puts in a little better perspective for me. 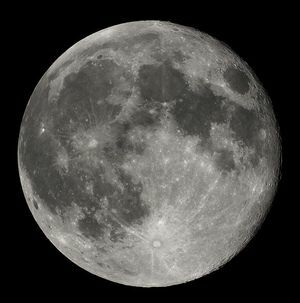 Additionally, if you are worried that it might hit the Earth, the moon is fifteen times closer at about 230,800 miles. So, not much of a chance of impact. However, I am very interested in seeing if there are any little companions travelling with the asteroid. If you recall, a few hours after the last asteroid that flew by us, a fairly large chunk of something hit in Siberia making a very large explosion. Could it be that this wanderer through our neighbouring space is also bringing unwanted guests? It will be hard to tell until something happens. We currently don’t have the technology to detect small asteroids and/or comet that are small. Hopefully, the only thing that happens is that all the scientists get great images, spectra and radar information to work with. Posted in Play and No Work. Tagged Asteroid, astronomy, astrophotography, QE2, Queen Elizabeth II, science, space, telescope. What exactly is a trademark class? Trademark classes allow for the identification of goods and services. Additionally, they allow multiple business to apply for a trademark to identify their goods and services (as long as they are not in the same class). For instance. a construction company could apply for a trademark for “Mud” to cover construction related goods/services. A cosmetic company could also apply for the “Mud” trademark to cover cosmetic goods. Why is that you may ask? Trademarks are actually designed to protect the consuming public, not the brand owners. One of the main tests for trademark infringement is “likelihood of consumer confusion.” So, the different classes help promote commerce while protecting the consuming public from knock-offs. In the example above, it is highly unlikely that someone shopping for Mud cosmetics would be confused by the same Mud mark used at Home Depot. So using classes helps sort all of this confusion out. Prior to the adoption of the International Classification in 1973, the United States used its own classification system. Since that time, the United States Classification became a secondary classification system. United States classes are still assigned to all applications by a computerized system. Each international class is coordinated with the United States classes that are most frequently associated with it. Neither examining attorneys nor any other USPTO personnel have the authority or capability of altering these automatically assigned secondary United States Classification designations. So the U.S. system is still used, but rarely does it apply in legal matters. The Nice Classification (NCL) is the international classification (IC) of goods and services that is currently used for the registration of trademarks and service marks. Under this system, used by all signatory countries, goods classifications run from classes IC 1-34, and Services are in IC 35-45. The USPTO has a list of all the goods and service that are available for brand owners to use in protecting themselves. Although it seems simple enough, there are many complications that can arise while applying for a trademark registration. If you, or someone you know needs help to file a trademark, or help to defend against an infringer, please contact me for a free 30 minute consultation at nvantreeck@usip.com or call TOLL FREE at 1-855-UR IDEAS (1-855-874-3327) and ask for Norman. Posted in Work and No Play. Tagged intellectual property, Internaitonal class, international classes, law, legal, trademark, trademarks, uspto. Irony, thy name is Meade. I know this ins’t breaking news, but this weekend at RTMC I found out that Meade Instruments Corp. (est. 1972), one of the world’s largest designers and manufacturers of telescopes and accessories for amateur astronomers and (JOC) are in merger talks. Jinghua will pay 3-4 million dollars cash to acquire all of Meade. The deal is expected to be completed by the end of July, subject to shareholder approval. Why is this ironic you might ask? Well let me tell you a tale. Once upon a time a talented employee of Meade worked diligently with astronomers to promote Meade products and technology. Years later that talented person later left the company and formed Explore Scientific. Working with JOC, Explore Scientific quickly built quality products and spread throughout the astronomical community. Alas, during this same period Meade was in a serious decline with failed product launches and vaporware, the astronomical community turned from the tried and true, to the new and innovative. So this announcement by JOC, who is also the parent company of Explore Scientific, LLC (USA) and Meade Instruments Europe GmbH & Co. KG (Germany), came as a pleasant surprise. There is hope on the horizon for Meade fans. The company won’t fold and, hopefully, will return to its former glory under its new owners. So, you still may be asking about the irony. 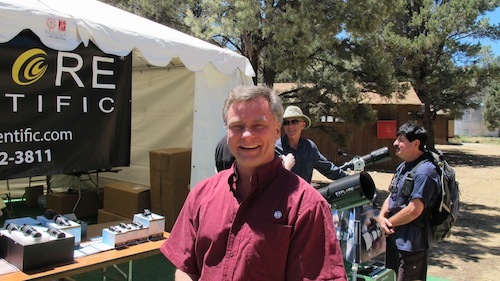 I think it is ironic that Scott Roberts, currently president of Explore Scientific LLC and previously one of Meade’s vice presidents, will now be back running the company that he left in 2007. “I am especially pleased with this global reunion with Meade. 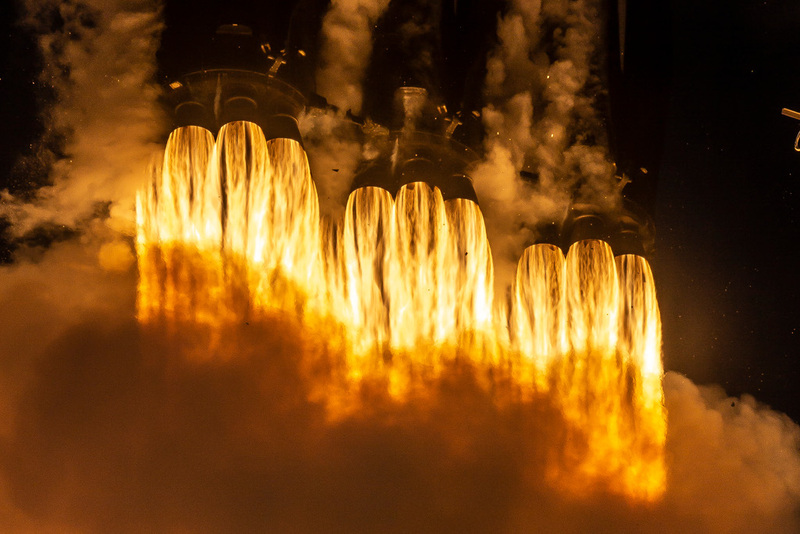 I believe it will give us a rare opportunity in our industry to combine the best of what all of our companies have to offer,” stated Scott Roberts, president of Explore Scientific, which will manage operations of Meade after the acquisition. Scott, I wish you the best of luck. Posted in Play and No Work. Tagged astronomy, explore scientific, Meade, telescopes. Small copyright disputes and how to resolve them. The Copyright Act protects a wide variety of works of authorship, from individual articles or photographs that may not have a high commercial value to motion pictures worth hundreds of millions of dollars in the marketplace. Copyright owners can file lawsuits under the copyright law for unauthorized use of the owner’s work. However, not all copyright owners have the same resources for bringing a lawsuit, which usually requires substantial time, money, and effort. Sometimes a copyright owner may want to stop a small infringement that has caused a relatively small amount of economic damage. The owner might not file a lawsuit because of a modest recovery versus the potentially large expense of litigation. In some cases under the copyright act, owners can receive statutory damages and attorney’s fees, but these amount may not be recovered until after the copyright owner has engaged in a long court battle at a significant cost. So Congress has asked the Copyright Office to study the current system for a means to resolve small copyright claim disputes, as well as possible alternative systems. To conduct this study, the Office has undertaken a variety of activities to learn more about small copyright claims issues. The Office has published three Notices of Inquiry requesting public comments on the challenges faced under the current system as well as possible alternatives to the current legal system. If you would like to add your voice to the study, you can enter your comments here. Copyrights can be a source of great income, or great liability. If you have a work that needs protection, or know someone that can use my help, please contact me for a free 30 minute consultation at nvantreeck@usip.com or call TOLL FREE at 1-855-UR IDEAS (1-855-874-3327) and ask for Norman. Posted in Work and No Play. Tagged Copyright, copyright infringement, copyright office, intellectual property, law, legal, Litigation, Small claims. Seated is Dann McCreary of McCreary Mounts next to his ingenious The Dickens mount. According to Dann, this lightweight portable mount has so little error that it can track for hours. The inevitable question was asked…How does it work? 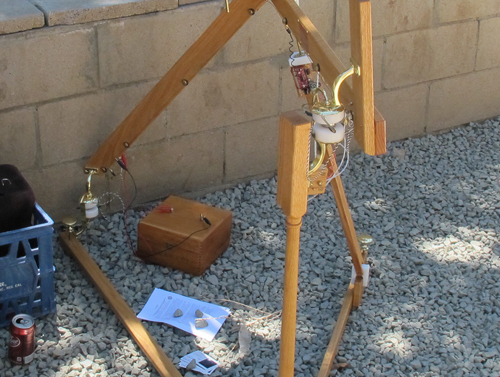 Well, being that there are two pivot points and one small motor it perplexed many people. Luckily I know a little about astronomy, so I suggested that it was a super modified barn door tracker. Close, but not quite. 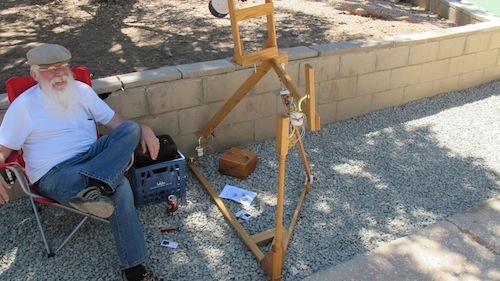 Dann’s mount is much more accurate than the typical barn door tracker, but is based on some of the same principles. A closer look shows the two pivot points made from highly crafted, sub millimeter bearing with an unbelievable tolerance that Dann painstakingly searched high and low before purchasing them from Ebay for 12 bucks or so. Sandwiched between two polyethylene pieces with tight tolerance holes drilled into them…just kidding. Dann said that he just used a drill and a hole saw and made holes. The hole point (get it?) of the mount is that by adjusting the two bearings to be aligned with the celestial north (quick quiz how many points does it take to make a line). So by using this priciple Dann was able to construct this beautiful, and award winning, mount that tracks with extremely tight tolerances, without tons of machining time and other weapons of mass manufacturing. Congratulations Dann, the award was well deserved. If you would like more information about Dann and his work you can follow him here. Posted in Play and No Work. Tagged Dann McCreary, RTMC, subarcsec.com, the Dickens. I reported earlier that Beyoncé and Jay-Z applied for a trademark on their new babies name Blue Ivy. The media coverage of a trademark dispute involving Beyoncé and Jay-Z demonstrates how it is possible to oversimplify intellectual property law. Several media outlets reported that that the famous parents “lost” their bid to trademark their daughter’s name, Blue Ivy, to a Boston-based wedding planner. However, that is not what really happened. Beyoncé and Jay-Z filed a trademark application with the U.S. Patent and Trademark Office to register their daughter’s name for use on a line of baby carriages, baby cosmetics, and diaper bags. Naturally, after the babies name was revealed other people tried to cash in on the Blue Ivy express. Before her parent’s application was filed, several others also applied to register the child’s name as a trademark, including a fashion designer who sought to register “Blue Ivy Carter NYC” just four days after the baby was born. The USPTO denied many of the prior filings, stating that the name belonged to a “very famous infant” and consumers would mistakenly assume that her parents endorsed the products. However, Boston event planner Veronica Alexandra also filed to register her existing business name Blue Ivy Events as a servicemark. The Trademark Office approved her application to register “Blue Ivy” in the limited field of event planning. So long as Beyoncé and Jay-Z do not start a party planning business using their daughter’s name, they have not lost anything. In fact, the mark has already issued in connection with the children’s products identified in the application. Trademarks are generally limited to specific classes of goods and services. Therefore, it is possible for businesses to use the same marks, if they operate in unrelated fields. So if you have a brand or mark that needs protection, or know someone that can use my help, please contact me for a free 30 minute consultation at nvantreeck@usip.com or call TOLL FREE at 1-855-UR IDEAS (1-855-874-3327) and ask for Norman. Posted in Work and No Play. Tagged Beyonce, Blue Ivy, intellectual property, JayZ, law, legal, trademark, trademarks, uspto. 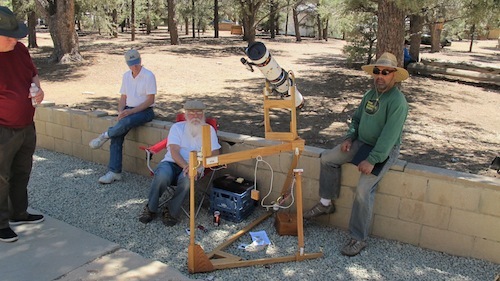 This weekend was the annual pilgrimage to Big Bear for the Society for Astronomical Sciences meetings and RTMC. The 2013 SAS Symposium on Telescope Science was held on May 21-23at the Northwoods Resort in Big Bear Lake, CA. 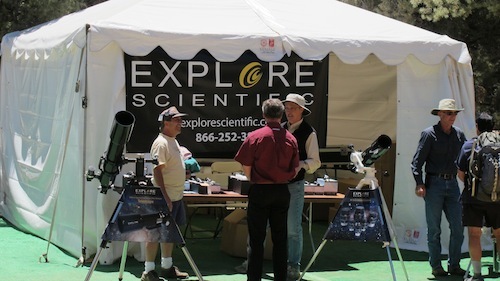 Over 100 professional and amateur astronomers meet each year for this event. The Symposium has become one of the premiere events for amateur astronomers and for building pro-am collaborations. Amateurs, and some professionals, make presentations covering a wide range of topics, from imaging basics, photometry, spectroscopy, instrumentation, and more. Observing targets reach from near-Earth to the edges of the Universe. If you’re at least a little interested in astronomical research, this is one of the events attend each year. More information about next years event can be found on their web site (link above). Immediately after the SAS conference RTMC opens the gates at Camp Oakes, a YMCA camp, near Big Bear City. 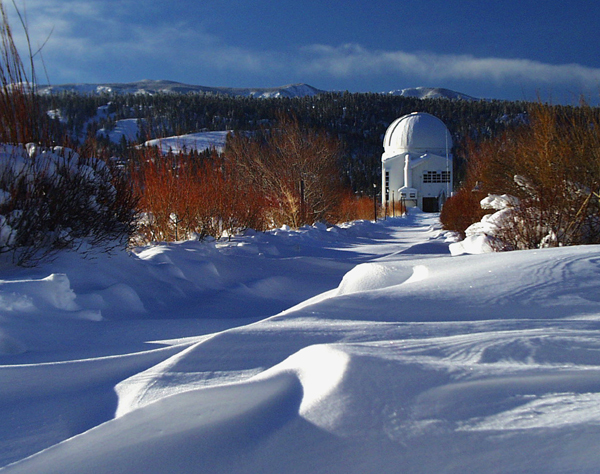 … the Big Bear Solar observatory. Please note, the picture above is not to scale or snow depth. It was actually a warm 78 degrees this year. Due to the altitude, however, I have spent some Memorial weekends in the snow. For the rest of the week, I am going to show images that I took at RTMC and some of the events that take place each year. If you are looking for a brief astronomical event that the whole family can enjoy. There is swimming, hiking, horse back riding and a whole bunch of other events for everyone to enjoy. Posted in Play and No Work. 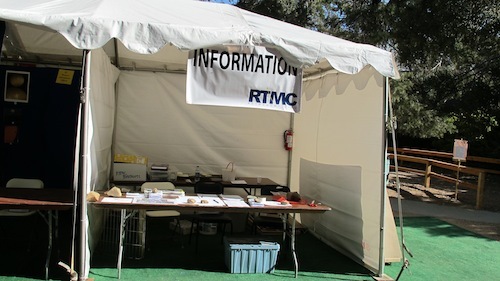 Tagged astronomy, astrophotography, Big Bear, Big Bear Solar Observatory, Riverside Telescope Makers Conference, RTMC, SAS, science, solar, space, telescope. Today, in the U.S., we celebrate the people who serve and protect our country. Some say: “Happy memorial day,” but it is not. It is an occasion to reflect on those that have passed and those that still stand guard. It is a day to honor those left at home who also sacrifice and serve even if they are not in uniform. It is a day to reach out to those that served and need some help. It is a day of reflection of our past and dedication to the future. It is a hope and a dream that one day we can say thank you all, your job is done. To all those serving, I thank you. To all those that have served, I thank you. To the husbands, wives and children holding down the home front, I thank you. To those that struggle from their service, I want to give you hope that it will get better. Posted in Play and No Work. Tagged Memorial day. Internet services providers have started to implement the Copyright Alert System this month. The system, also referred to as the “Six Strikes” program, is intended to deter copyright infringement committed through illegal file sharing. The Center for Copyright Information (CCI) will operate the alert system. Members of the coalition include the Motion Picture Association of America, Inc., the Recording Industry Association of America, and major ISPs, including AT&T, Cablevision, Comcast, Time Warner Cable, and Verizon. The system will allow content owners to notify the ISPs when they believe their copyrights are being infringed. The ISP will then notify the subscriber that their account may have been misused for potentially illegal file sharing. If the activity continues, the warnings issued to the subscriber will escalate and can ultimately result in “mitigation measures,” which include slowing the subscriber’s Internet connection. First Alert: An ISP will send an online alert to a subscriber, such as an email, notifying the subscriber that his/her account may have been misused or involved in copyright infringement. This first alert will also direct the subscriber to educational resources, such as how to verify the security of the computer and the importance of copyright infringement laws. Second Alert: If the alleged activity persists, the subscriber will get a second similar alert that will underscore the educational messages. Third Alert: The third alert will repeat the warning, but also provide a conspicuous mechanism (a click-through pop-up notice, landing page, or similar mechanism) requiring the subscriber to acknowledge receipt. Fourth Alert: If the subscriber’s account again appears to have been used for copyright infringement, the subscriber will receive yet another alert that again requires the subscriber to acknowledge receipt. Fifth Alert: At this time, the ISP may take one of several steps reasonably calculated to stop future copyright infringement. These “Mitigation Measures” may include temporary reductions of Internet speeds or redirection to a landing page until the subscriber contacts the ISP to discuss the matter. Sixth Alert: If the subscriber’s account again appears to have been used for copyright infringement, the ISP will send another alert and will implement a Mitigation Measure as described above. It is important to highlight that the Copyright Alert System does not require the ISPs to terminate service. Subscribers will also be able to challenge any mitigation measures through proceedings conducted by the American Arbitration Association. If you need help to original work with a copyright, or you have been accused of copyright infringement, or know someone that can use my help, please contact me for a free 30 minute consultation at nvantreeck@usip.com or call TOLL FREE at 1-855-UR IDEAS (1-855-874-3327) and ask for Norman. Posted in Work and No Play. Tagged Copyright, intellectual property, law, legal.